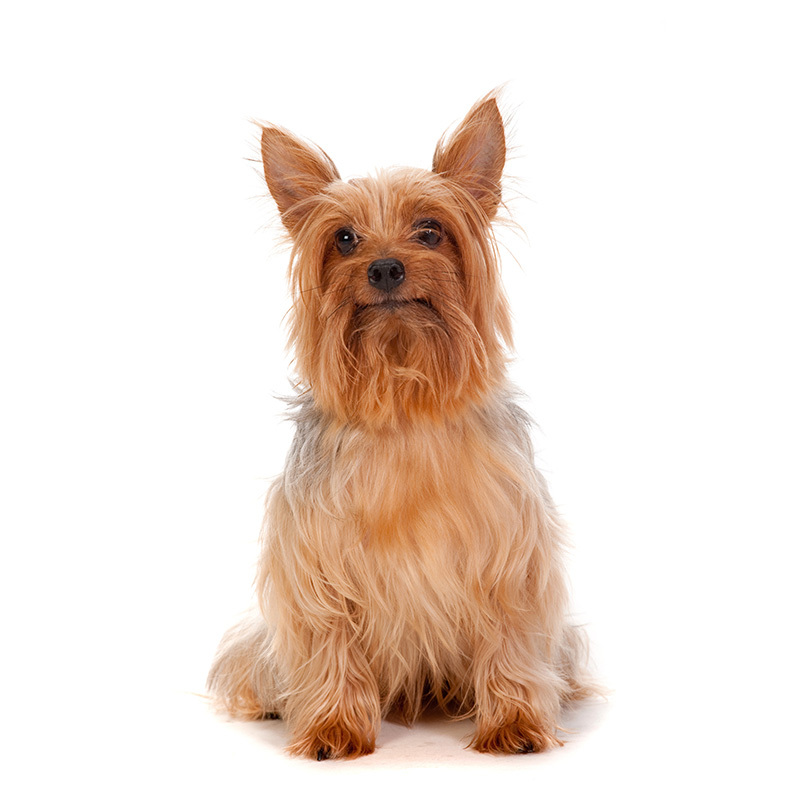 The Silky Terrier was developed in Australia in the 1890s when breeders crossed Yorkshire Terriers with their native Australian Terriers. Breeders wanted to improve the coat color of the blue and tan colored Australian Terriers. Some of the offspring looked like Yorkies, some looked like Australian Terriers, and then others looked like the Silkies of today. The Silky-looking dogs were interbred until the puppies became the Silky Terriers of today. During World War II, American servicemen brought some of these little dogs home with them. The breed has had several names: They were first called Sydney Silky Terriers. In Australia they were and still are called Australian Silky Terriers. In the U.S. we usually just call them Silkies. The Silky Terrier is a friendly and scrappy little dog, and doesn’t like to be ignored. They are loving, courageous, alert, spunky, cheerful, and affectionate. Silkies don’t do well if left alone for hours on end; they want to be with their family. They have a high activity level and love to go for walks or play fetch. It’s delightful to watch them tear up and down the hallway running as fast as they can looking as if they have a big grin on their face. Silkies are intelligent but can be a bit stubborn. House training can be especially challenging. They make great watchdogs, as they’ll sound the alarm whenever someone new shows up. These are joyful, cuddly, wonderful little dogs. The Silky Terrier usually weighs between 8 to 11 pounds and stands approximately 9 to 10 inches tall, being slightly longer than it is tall. They are a small- sized dog with a fine-boned build. Silkies are known for their long, silky, single coat hair that is parted down their back and can flow 5 to 6 inches in length. Colors come in shades of blue, tan, gold, and red. Their coats are prone to tangle and need to be groomed frequently to prevent matting. The Silky Terrier is special to the owners of America's Pet Registry Inc., Garry & Sheila Garner. For thirty-five years they have had many special Silkies with names such as Rockin’ Robin (Garry’s first beloved Silky), Teen Angel (Sheila’s), Robin II (Garry’s, Sheila’s, and the office pet), and Paddy Whack. This breed has given all of us here many hours of joy.